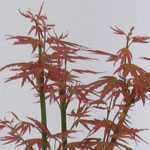 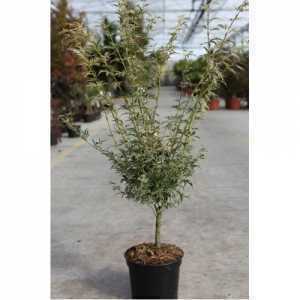 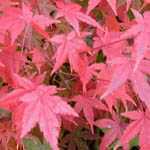 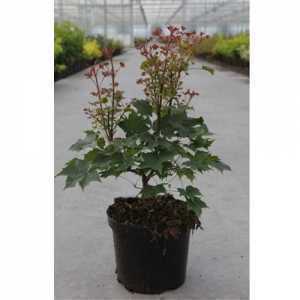 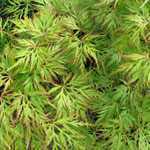 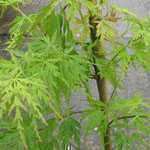 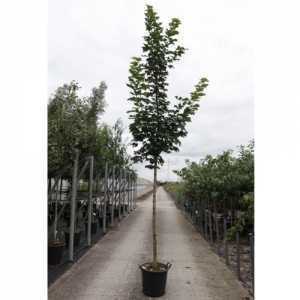 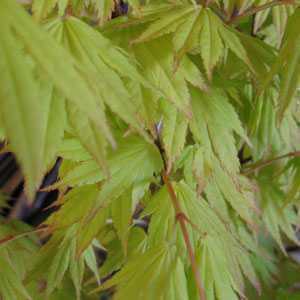 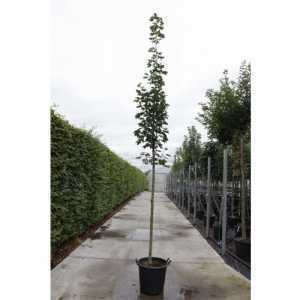 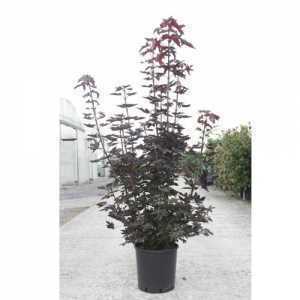 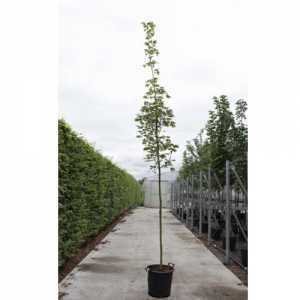 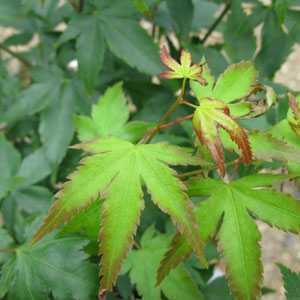 Acer Palmatum 'Oridono-Nishiki' is a reasonably fast growing acer and one of the best performing varieties in the Palmatum group in terms of the diversity of its leaf variegation. 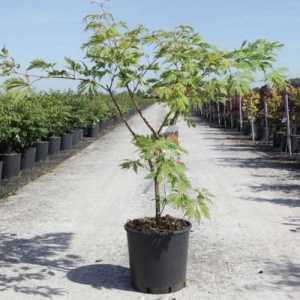 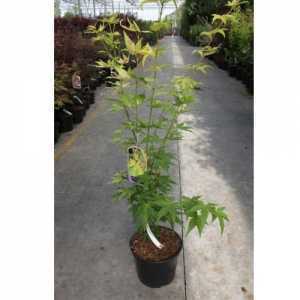 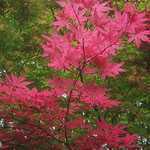 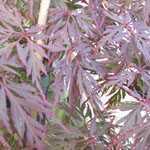 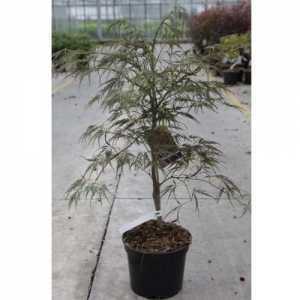 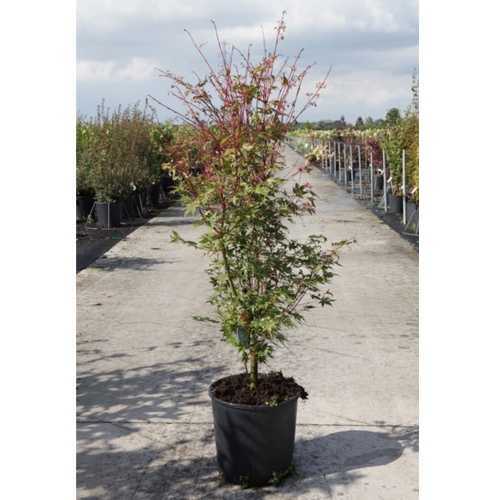 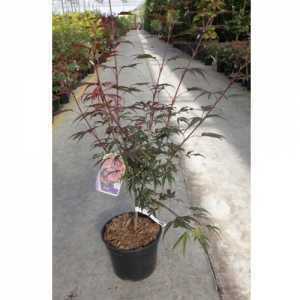 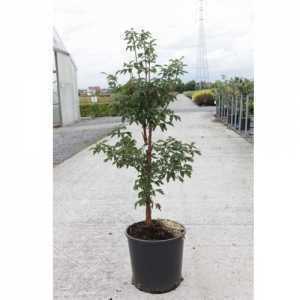 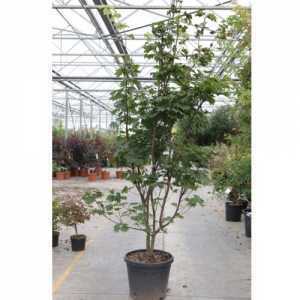 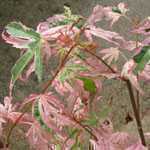 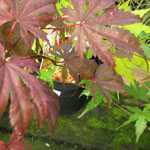 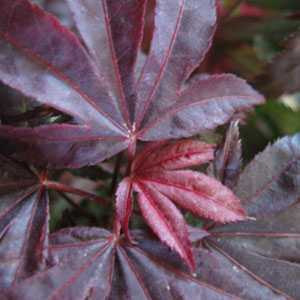 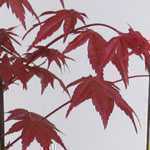 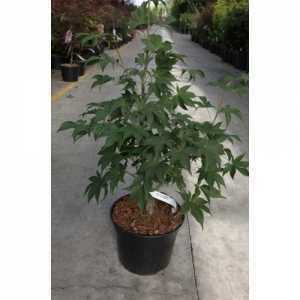 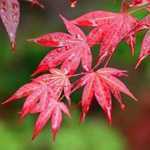 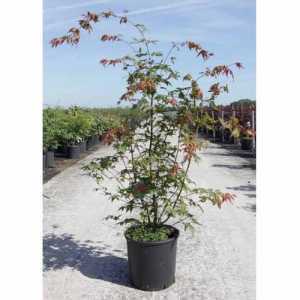 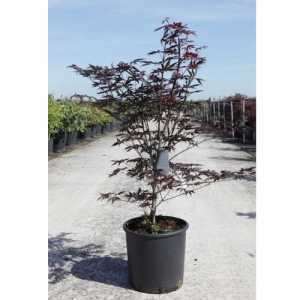 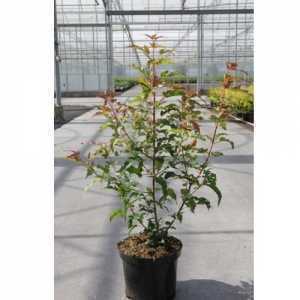 Being an intensely variegated maple, Japanese Maple Orido Nishiki has very unusual vibrant pink, white and cream variegated leaves in spring. 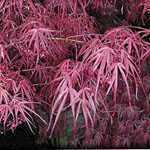 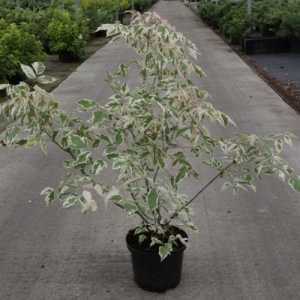 The variegation can include any combination of these, some leaves completely pink or white and sometimes even a green streak can appear. 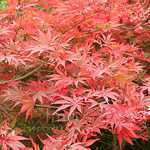 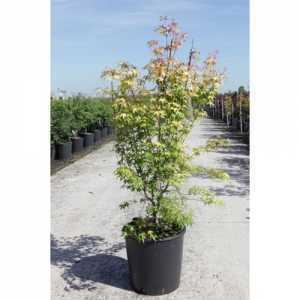 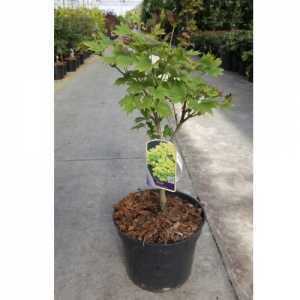 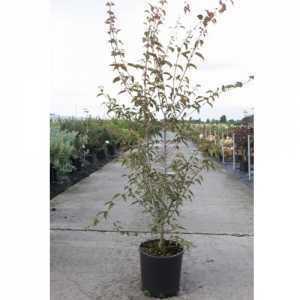 This particular Acer transforms into a striking shrub in the Autumn producing a fiery ball of yellow and gold.